Bed and breakfasts promise the warmth and comfort of home for those on the road. But, how many of us are cozily welcomed home with a glass of wine by the fire or awoken by the smell of coffee and freshly baked scones every day? Like at your most generous friend’s house, the innkeepers live on site, so they know the area backwards and front and they can’t wait to show you the best of it. The houses themselves, often in an idyllic setting, harbor a rich history and ooze character. Whether they’re haunted, were once homes of grand families, or have been passed down by generations of B&B owners, every portrait and floral bedspread tells a story. As many of you know, BedBreakfastTraveler.com is part of the Instant World Booking organization, which includes over 100+ brands of online marketing and booking engines. At BedBreakfastTraveler, B&Bs are our specialty, but we also have keen insights into other lodging markets. While it may not sound fair, some other lodging sectors consider their marketing strategies to be at the leading edge of innovation and ingenuity. But where do bed and breakfasts figure into this? B&Bs in North America don’t have the reputation of being cutting edge in terms of marketing or technology. This also may not be a fair assessment, since there are many inn properties that are up-and-coming into the 21st century age of internet marketing. But there are some important lessons that our friends and partners in North America and elsewhere can learn from their counterparts in other markets. Many online booking services know that B&Bs are behind the curve in technology, and they may sometimes take advantage of this fact by overcharging for their services. This is perhaps the first and greatest lesson that bed and breakfasts can learn: Don’t Overpay for online marketing services! When it comes to online booking services, many of the availability calendars out there that cater to B&Bs are vestiges of technology platforms that are 15-20 years old. Travel industry technology has undergone a revolution since the 1980’s and B&Bs should be seeking out the best technologies available for their purposes today. So, in short, there are 2 great lessons you can learn. 1) Don’t overpay for online marketing services, and 2) Take advantage of the latest technologies. BedBreakfastTraveler.com offers some leading edge services for B&Bs that we want you to compare with your current providers. Three areas where BedBreakfastTraveler.com can enhance your bottom line are by 1) offering the lowest cost for online booking services versus all the competition, 2) setting up custom booking engines to work on your very own website (again at the lowest cost versus any competitor), and 3) offering credit card acceptance for your business without costly merchant accounts, credit checks, etc. So, if you’re a bed and breakfast looking to try something new, and start actively improving your profit margin, contact BedBreakfastTraveler and ask how we can beat your current provider’s services. Tip: Don’t worry about replacing or dropping any current services you use. Evidence consistently shows that by simply adding BedBreakfastTraveler.com to the list of providers you use can improve your bottom line without dropping any other services. Now, BedBreakfastTraveler.com invites you to post your videos on our blog. This is an excellent way to increase your online marketing presence. It’s free, and you do not need to have a listing on the Instant World Booking service. See instructions below. Video on the internet is on the rise, and is playing a dominant role in the future of web strategies. Just think, in the USA alone, users are viewing 17 billion videos monthly. “Having gone from zero to mass market globally in three short years, online video is the fastest-growing media platform in history”, according to a new report from social media research consultancy Trendstream and research firm Lightspeed. When it comes to travel and B&B marketing, video is an emerging trend. What bed and breakfast, inn or guesthouse hasn’t already published photos of their accommodations online? If you haven’t, rest assured, some of your guests are posting photos with reviews of your amenities on multiple websites around the globe. Bed & Breakfasts and hotels of all kinds are increasingly producing videos of their accommodations. Easily created by the amateur innkeeper/photographer, a video can add a promotional dimension that was previously inaccessible to small hotels and B&Bs. One of the easiest ways to share video with a broad base of customers today is on YouTube.com. Signing up and posting your videos on YouTube is easy and free. So add your bed & breakfast or hotel videos at one of BedBreakfastTraveler’s blog. This is a great additional channel for advertising your lodging property, gaining additional exposure, and increasing bookings. It’s free and no listing on our service is required. There’s no additional obligation. All you need to get started is a video posted on your YouTube account. For as long as bed & breakfast hotels have been around they have offered their guests lodging at reasonable rates. It used to be that all you expected from a B&B was the basics, a firm bed, a shower and a cooked breakfast in the morning for a good price. Generally coming second to hotel accommodation, B&B’s rarely competed with a hotel for luxury and services offered. 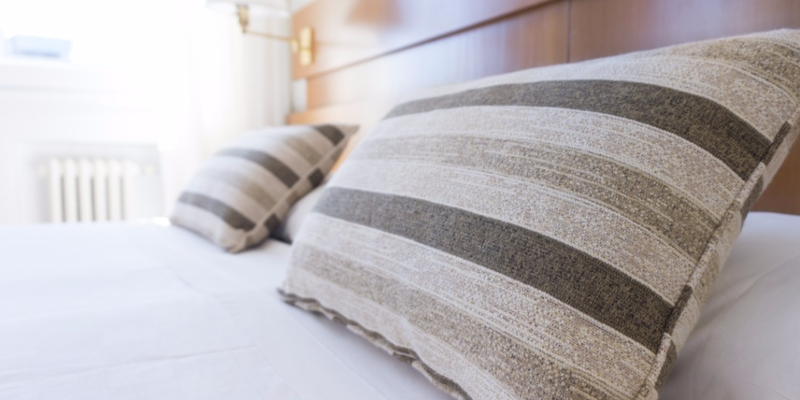 However a new trend for travelers in the 21st century, particularly in North America, is to look at the B&B sector for their accommodation needs. There are various reasons for this turn-around, but the main one is that with the downturn in the economy people still wish to travel but now need to tighten their belts. Looking at bed & breakfast options makes economical sense. For bed and breakfast in USA look online for instant B&B rates and availability.